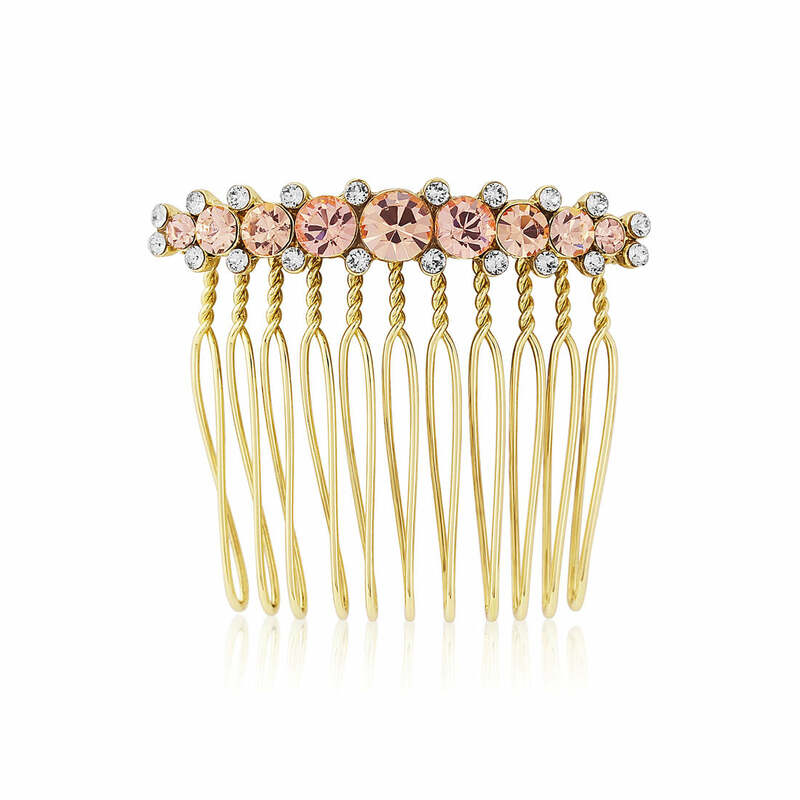 This darling vintage inspired hair comb features a dreamy blend of peach crystals set on antique gold tone. So adorable, with a name which will conjure up images of beauty and romance, our Peach Passion Hair Comb will not disappoint. With a row of pretty pastel peach crystals graduating in size edged with sparkling clear accent stones this gold tone comb is full of retro charm. Perfect to adorn a chic French pleat or to add a touch of glamour to a sleeked back ponytail, this divine piece will dress up your summer style with a delicate pop of colour. With a full collection of Peach Passion accessories, it is easy to see how these elegant pieces will add just the right amount of glamour to your stunning bridesmaids. Simply coordinate with hand-tied bouquets with flowing ribbons and full-skirted tea length dresses for 1950s vintage allure.